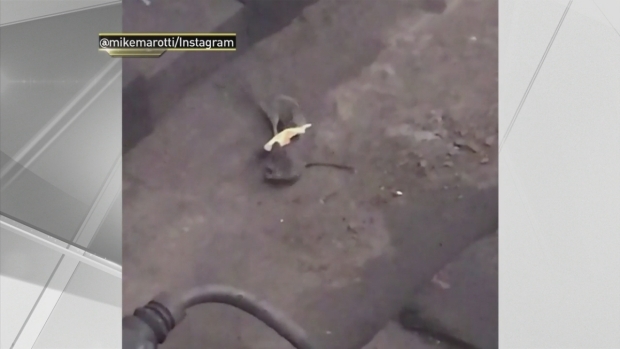 These two subway rats were spotted in an epic tug-of-war with what looks like a french fry. It must be slim pickings out there for the rats of the city. Less than a month after two rats were spotted battling it out for a crust on the subway tracks, another pair of rodents have been captured in a tug-of-war. 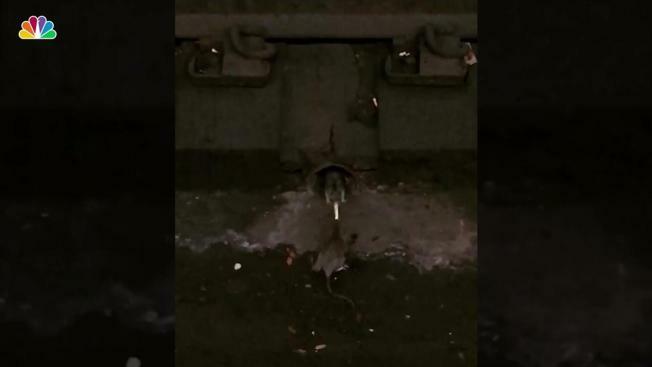 In a video uploaded to Instagram by Seth Salcedo on Thursday, two rats can be seen valiantly holding onto a scrap of food resembling a french fry on the subway tracks in the New York subway system. Was it the infamous pizza rat? Was it the same rats from weeks ago, locked in a bitter, ongoing dispute? The 15-second video shows the rodents persistently pulling at the scrap, with neither willing to give up any ground. One seems to have the advantage, having cover from the back in the form of a tunnel. That rat takes a risk, pulling to the left, and the standoff ends as it runs away with its prize. A pair of pizza-loving rats duked it out for a pizza crust in Manhattan. The original Pizza Rat from 2015 showed a rat lugging an entire slice of pizza down the subway stairs. The video went viral, garnering over 10 million views on YouTube.